The spy. The spaceman. The goddess. The robot. The gorilla. During the 1950s, FBI Agent Jimmy Woo forged a handful of unlikely heroes into a team of espionage operatives. 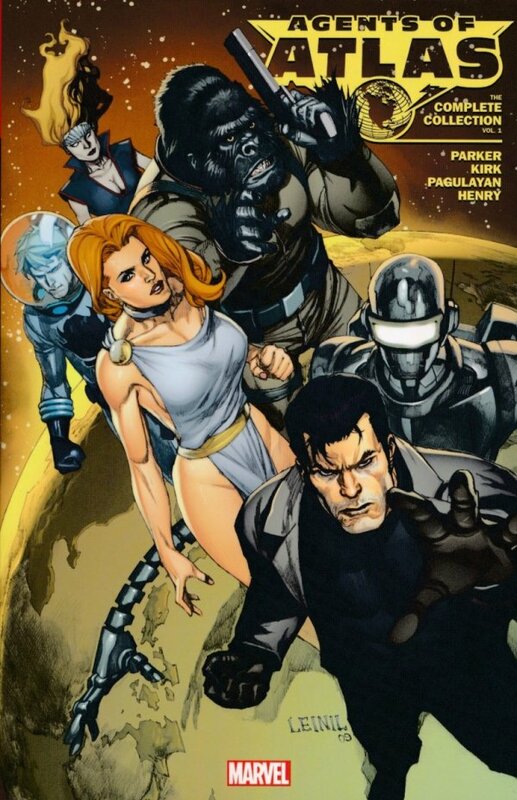 Now, half a century later, the Agents of Atlas return to take the Marvel Universe by storm! Woo, Marvel Boy, Venus, the Human Robot and Gorilla Man battle the Yellow Claw, face down Norman Osborn’s Dark Reign, and encounter Spider-Man, Wolverine and the X-Men! Plus: The Agents’ amazing Atlas Era debuts! 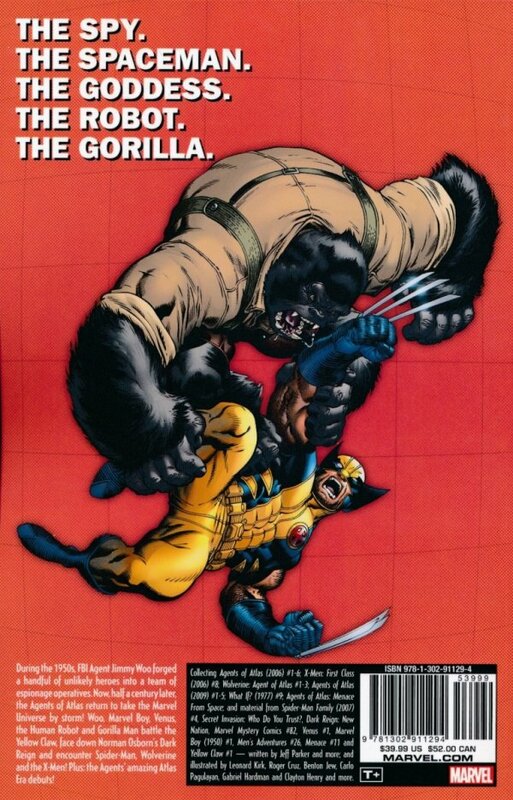 Collecting AGENTS OF ATLAS (2006) #1-6; X-MEN: FIRST CLASS (2006) #8; WOLVERINE: AGENT OF ATLAS #1-3; AGENTS OF ATLAS (2009) #1-5; WHAT IF? (1977) #9; AGENTS OF ATLAS: MENACE FROM SPACE; and material from SPIDER-MAN FAMILY (2007) #4, SECRET INVASION: WHO DO YOU TRUST?, DARK REIGN: NEW NATION, MARVEL MYSTERY COMICS #82, VENUS #1, MARVEL BOY (1950) #1, MEN’S ADVENTURES #26, MENACE #11 and YELLOW CLAW #1.